Mercy Vineyard is a vibrant, diverse church in Northeast Minneapolis led by Jeff & Le Que Heidkamp. Today we'll highlight some of the encouraging, fun things they're up to. 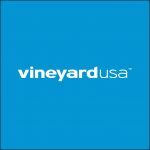 Each month, our Vineyard USA Newsletter will highlight one church, and what God is doing in their midst. These highlights are meant to encourage you, give you more perspective on the “real world ministry” our churches engage in, and offer you some ideas that may help your own church share the good news of the Kingdom of God. Christmas is one of our favorite times of year for outreach at Mercy. One fun aspect of our Christmas traditions is how almost all of them emerged as creative solutions to what seemed intractable barriers to outreach. Time after time, some member would come up with a way to stay on mission and not give up just because something was hard. God seems to show up this way every year. Our first few Christmases were difficult because we met on a college campus and were all either college students or recent grads. This meant that almost everyone left town to be with family, or if they stayed in town, often went to some family event with their parents. We threw one awesome Christmas Eve service for eight people. We had a leader who was also a stage manager for a local, nationally known theater, and she had the idea to do a special, more artistically oriented Christmas service, and to do it on Sunday morning a week or so before Christmas. It turned out to be a hit. The congregation loved it, and it became one of the most common Sundays for people to invite non-churchgoing friends and family. As the service developed year to year, we discovered two competing aspects of its success. First, the service had to be high quality. Because we had moved to a building in the arts district, and our congregation would not invite their friends to anything that seemed campy or contrived. This meant saying some hard “no’s” to well meaning volunteers. The tension of high quality and high involvement was partly resolved by putting together a high-quality Christmas choir with professional conductors either from the congregation or the community. It doesn’t take much talent to sing in a choir, especially if there are a few strong leaders in each section. And a good conductor can make average singers sound really good. Eventually, we even began to recruit singers for the choir straight from the community. It turned out there were a number of non-churchgoers who missed singing in a choir and wanted a place to sing. Another challenge was that the service might turn into more of a production than an opportunity to experience God. So each year, we intentionally created elements of the service where we gave the Holy Spirit a chance to show off. One year, we gave everyone who attended a small rock and a Sharpie (we bought out all the permanent markers at three different office stories). During the service, attendees were invited to write a request on the rock, and walk to the front and put it in a jar. Volunteers then prayed specifically for each of the requests in the jars. “Last Christmas service when we wrote what we were praying for on a rock, I wrote ‘a baby’ as we had been hoping to become pregnant for quite some time, and in fact, I had made plans with my doctor to begin an evaluation of my ‘secondary infertility’ (i.e. inability to get pregnant after having a kid already). Another year a guy named Mike showed up with his family. They had been at another church that closed and felt really burned by the experience. However, they showed up to the service at the invitation of a friend. When Mike sat down, God told him, “This is your church, and you will work here one day.” Today Mike is one of our full-time associate pastors. We felt led by the Spirit at another Christmas to include the story of the slaughter of innocents by King Herod. It felt a bit odd to have such a dark element to a Christmas service, but we followed God’s prompting. Two days before the service, the shooting of elementary school students in Newton happened. The service turned into a reflection about how Jesus came to redeem a world full of such evil. Many people remember that year as the most powerful Christmas service we’ve had. In the last few years, the problem has been space. Mercy is looking for a new building, and the current one is generally quite full. At the Christmas service every year, the parking lot would overflow and there would be no room at all. We had ideas for more advertising and outreach to the community, but it was hard to feel like advertising was a good idea if there were no more chairs. Someone had the idea of moving the service to a local high school – doing hospitality in their cafeteria, having the service in their large auditorium, and throwing a giant kids party in the gym. We approached the administration, and because we’d been involved with serving there before, we got an enthusiastic “yes”. It was the largest service we’d ever had, and we’ve heard lots of stories of non-churchgoing guests who came and have continued to come back. When churches try new outreaches, there are often obstacles in the way. This is logical- if people haven’t been reached yet, there’s some reason why. But if we look for ways God might have empowered our community to overcome the obstacles, creative, fresh ways of extending the kingdom can emerge. Get to know Mercy Vineyard here.